EDINBURG — Jorge Flores knew he was in for some bad news when he was called into the Louisiana Tech trainer’s office. If the MRI on his pitching elbow showed little cause for concern, they would’ve told him over the phone. Flores was in his first year at Louisiana Tech as a junior in 2016 when the injury struck. As the trainer showed him the MRI results, Flores began to face the possibility that his baseball career was over. Unwilling to give up on the sport, Flores committed to having Tommy John surgery. A Valley native who graduated PSJA High in 2013, Flores returned to McAllen to rehab, eventually earning a scholarship to play at UTRGV. About 22 months after pitching in his final live game at Louisiana Tech, Flores took the mound for the Vaqueros. 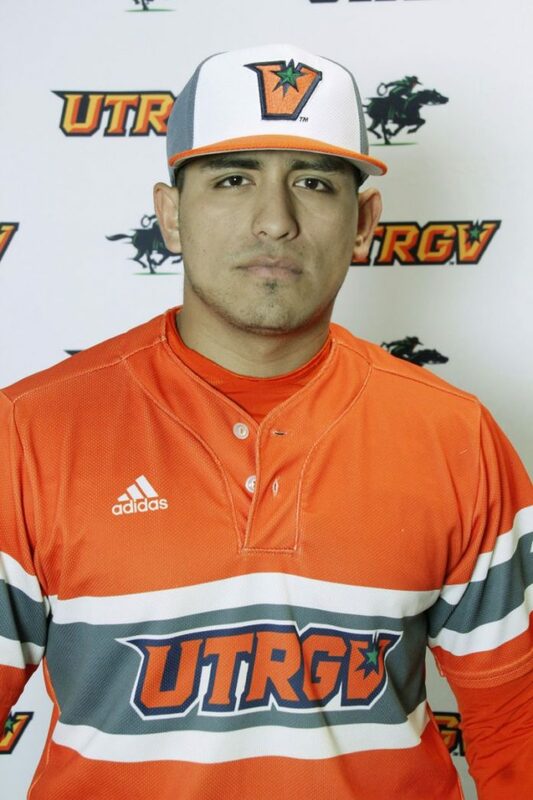 He quickly became one of UTRGV’s best options, posting a 6-3 record with a 3.36 ERA. Flores, a redshirt senior left-hander, is slated to be the No. 1 starter in UTRGV’s rotation for the first time this season when the team hosts Sacramento State at 7 tonight at UTRGV Baseball Stadium. Flores first noticed the issue in his elbow during an outing against UAB on March 18, 2016. He pitched 5 2/3 innings of hitless relief, but something felt wrong during his final frame. He thought it was simply fatigue from throwing 70 pitches — an unusually high total for him at that time. He made one or two more appearances during the next couple of weeks, but he didn’t have his usual velocity and was abnormally sore. Even after a month of rehab, the issues lingered, leading to the MRI that showed he needed reconstructive surgery. Knowing Flores would be out at least a year, Louisiana Tech chose not to renew his scholarship for the 2017 season. Without that funding, Flores was unable to continue taking college classes, so he said he returned to the Valley and worked at a call center for medical insurance before later shifting to a job as a sales representative at a Tru Fit gym. As he progressed through rehab last summer, Flores said he was close to signing with Division II school St. Mary’s in San Antonio when he heard from new UTRGV coach Derek Matlock. Flores said he was contacted by colleges at all levels coming out of high school but went to Navarro College, a junior college in Corsicana, because of an issue with his grades. After two years at Navarro, he said he had interest from Division I programs including Baylor, Arkansas and Texas Tech before signing with Louisiana Tech. When Matlock heard from Flores’ coach at Navarro that a player with that level of talent was floating around the Valley last June, he set up an opportunity to watch Flores pitch a rehab session at PSJA High. Flores was hardly back at full strength for his impromptu tryout, but he showed Matlock a smooth delivery and an ability to throw strikes. Matlock also recognized that Flores had a strong work ethic and would do everything in his power to get back to 100 percent. Even after signing, Flores faced one last hurdle — eligibility. Because Flores was not enrolled in classes during the 2016-17 academic year, UTRGV had to file a waiver to avoid him having to redshirt for a season, which would typically be required for a player transferring from one Division I school to another. Matlock said Flores’ financial hardship was a determining factor in the NCAA approving his immediate eligibility. UTRGV and Flores learned the waiver had been granted just days before the start of the 2018 season. Flores’ velocity has steadily risen, he’s improved his command on his secondary offerings, and he threw 131 pitches in a win against WAC-leading Grand Canyon on April 14. Removing his two worst innings, in starts against Illinois Chicago on Feb. 24 and UC Santa Barbara on April 7, he has 57 2/3 innings pitched at a 1.40 ERA. He’s totaled 58 strikeouts in 59 innings on the year, and he’s been able to do much of it in front of his family and hometown fans.